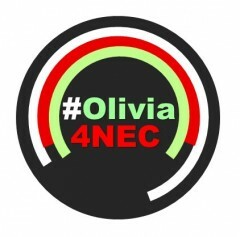 My name is Olivia and I am standing to be NEC youth representative because I feel strongly about youth issues that can be addressed by the party. I believe Labour should be offering a real alternative for young people and it is my conviction to make sure this comes from us. I am a 22 year old medical biology PhD student from Leeds studying in Sheffield. I am the current vice chair of Sheffield Labour Students and I’ve seen firsthand the hard work young people do for Labour. Young Labour has not reached its full potential, there are many obstacles that need to be addressed. Young Labour needs to become more independent and stronger to allow it to work effectively alongside Labour Students and the wider party. Campaigning for a Labour victory in 2015 is crucial but our movement has to be so much more than a doorstep army to fulfil this. Labour’s youth movement should be fresh, diverse and radical. We should not be afraid to stand up for young people in these difficult times even if this means being braver in our approach to attitudes within our party. We must have clear and fair rules about our ability to make and campaign on policy. We need resources and support to research and create radical policy for the party, something that has been absent in recent years. If elected, I’ll use the position to make sure the concerns of young people – from inside and outside of the Labour Party – are discussed by Young Labour, the National Executive Committee and wider movement. Young Labour with me as NEC representative will be a diverse, accepting and motivated movement where Labour’s future is debated and discussed openly and freely. I am calling for a full time chair for Young Labour, enabling a strong, independent voice for our movement. There is a great need at the moment for our movement to stay united and I pledge to ensure that whatever happens we stay focused on working together to beat the Tories. Debates should be in depth and wide ranging but we need to work towards a common goal and feed it back to those at the top and throughout our movement. We cannot remain divided or too accepting of policies, we should always be critical if Labour’s ideas are not in the interests of our members. I will seek to convince all sides to agree a radical, winning policy manifesto and then promote it. Young Labour must be at the heart of this. One truth about the position I’m standing for is that past incumbents have failed to appear interested in the views of those that elected them. This is wrong as the position is there so we are represented to the party and beyond. It costs nothing to promote your details online and be available to any member who needs your help. I would owe it to voters to produce reports of my activities and contributions to NEC. This position is not about personal gain, it is about all of us and how we can shape our future. Introducing One Member One Vote will mean that more members can get involved in selecting the position-this is only right. I am determined for fight for everyone within the party. It is the job of the NEC to ensure that our party remains as committed to the ordinary working people up and down Britain as we are to winning a majority. I am determined to battle for a better future for all, especially young people. I’ll be a very different NEC representative who will be a voice of the grass-roots membership-in touch, accountable and radical. The election for the youth place on Labour’s national executive committee takes place at Labour’s Youth Conference in Leicester next weekend, 2/3 March.